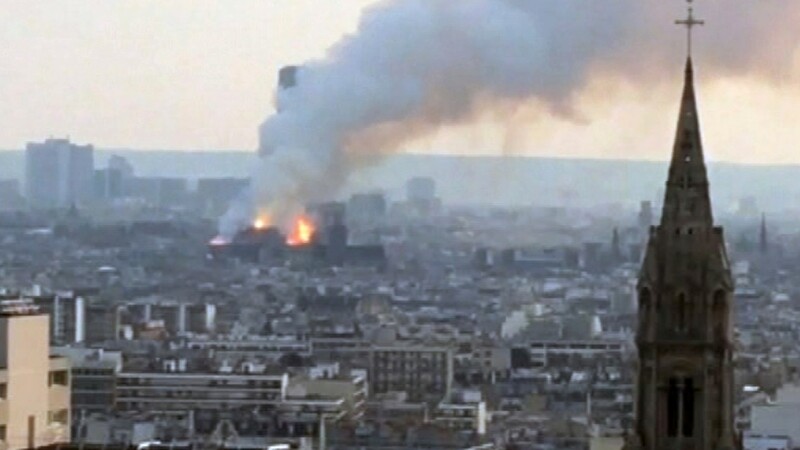 President Emmanuel Macron wants the cathedral rebuilt in five years -- happening to coincide with Paris hosting the Olympics. 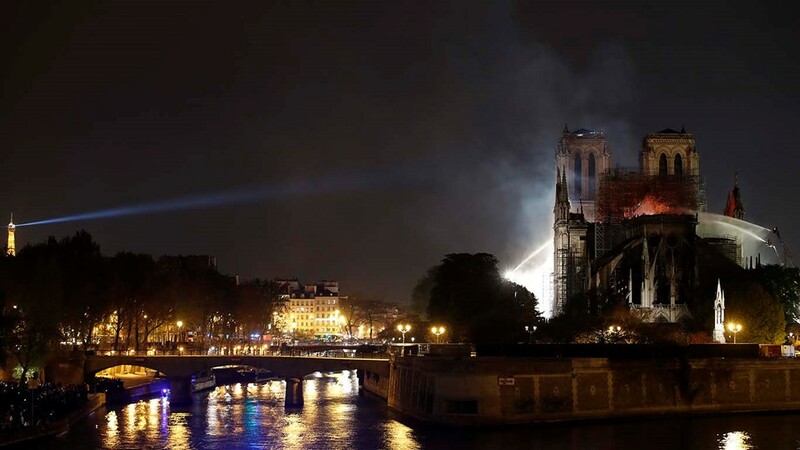 PARIS, France — Nearly $1 billion in donations have poured in for the vast restoration of the fire-ravaged Notre Dame cathedral — but a pledge by French President Emmanuel Macron that it will be completed within five years was facing accusations of being wildly off track. Macron said the renovations to restore iconic 19th century spire, vaulting and two-thirds of the cathedral's roof would be completed in time for the Paris 2024 Olympics. 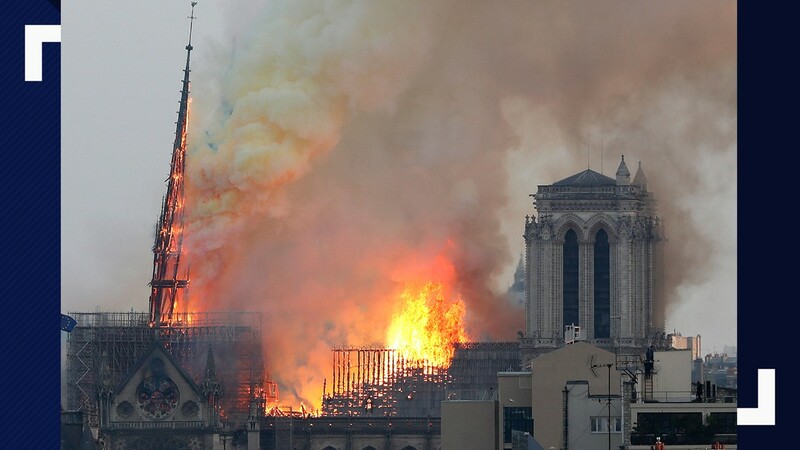 "We will rebuild the cathedral to be even more beautiful and I want it to be finished within five years," Macron said. Experts have said, however, that the ambitious timeline appears insufficient for such a massive operation. Even French Prime Minister Edouard Philippe — while supporting the government timeline — acknowledged in an address Wednesday that it would be difficult. "This is obviously an immense challenge, a historic responsibility," Philippe said. "No less than 15 years ... it's a colossal task," Pericolo said. Pericolo worked on the restoration of the 19th century Saint-Donatien basilica, which was badly damaged by fire in 2015 in the French city of Nantes. He said it could take between "two to five years" just to check the stability of the massive cathedral that dominates the Paris skyline. 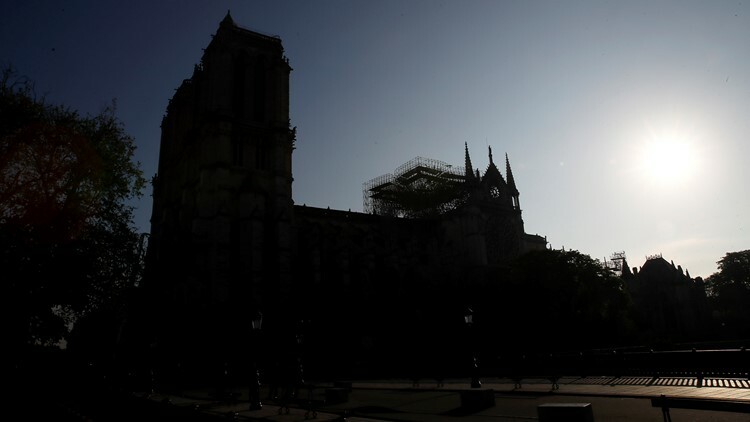 The comments came as Notre Dame's rector said he would close the once-functioning cathedral for up "five to six years," acknowledging that "a segment" of the near 900-year-old edifice may be gravely weakened. The questions over the timeline came as nearly $1 billion has poured in from ordinary worshippers and high-powered magnates around the world. Contributions came from near and far, rich and poor — from Apple and magnates who own L'Oreal, Chanel and Dior, to Catholic parishioners and others from small towns and cities around France and the world. Experts have put this in the threshold of realism — estimating the restoration would cost into to the hundreds of millions, although they acknowledge it is too early to be certain. 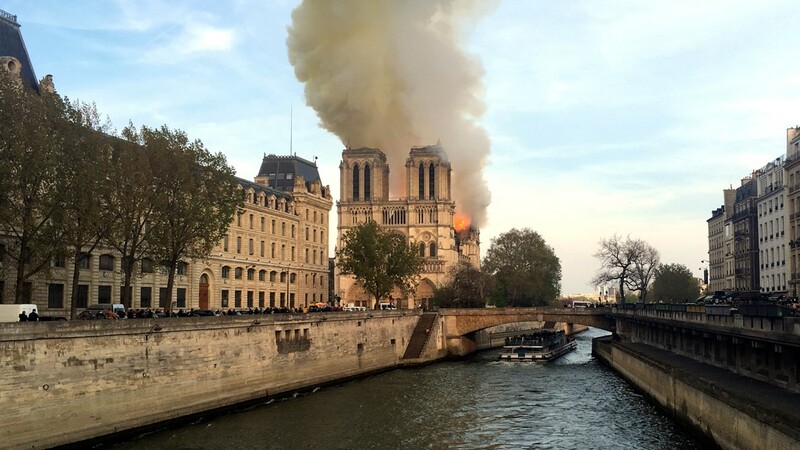 Presidential cultural heritage envoy Stephane Bern told broadcaster France-Info on Wednesday that 880 million euros ($995 million) has been raised in just a day and a half since the fire. The French government was gathering donations and setting up a special office to deal with big-ticket offers. 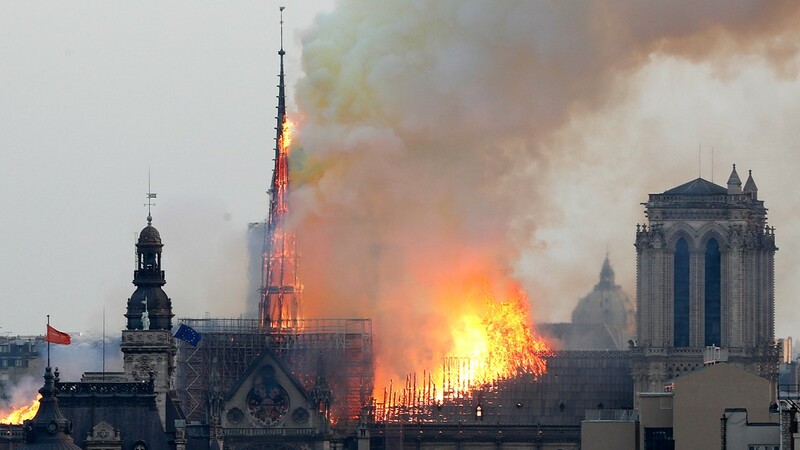 Philippe said a competition will be held to see if the spire should be rebuilt. "The international competition will allow for the question to be asked, should the spire be rebuilt?" he said. 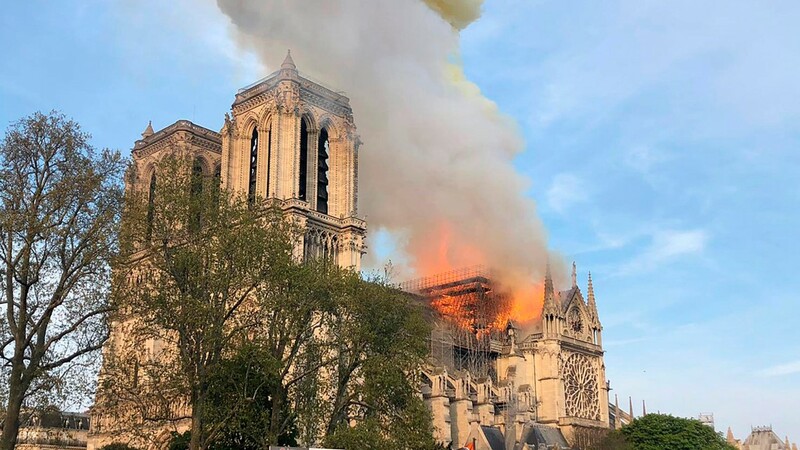 "Should we rebuild the spire envisaged and built by Viollet-le-Duc under the same conditions ... (or) give Notre Dame a new spire adapted to the technologies and the challenges of our times?" Construction operations around the church were already underway as teams brought in a huge crane and delivered planks of wood to the site Wednesday morning. 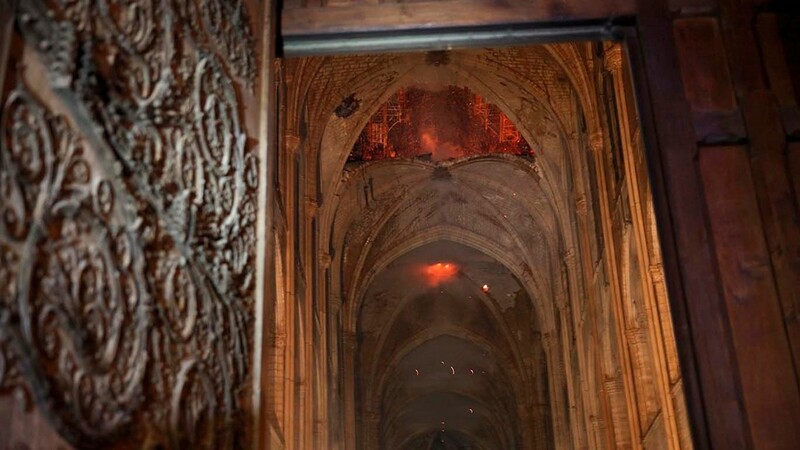 Firefighters were still examining the damage and shoring up the structure after Monday night's fire collapsed the spire and destroyed swathes of the cathedral's lead roof. 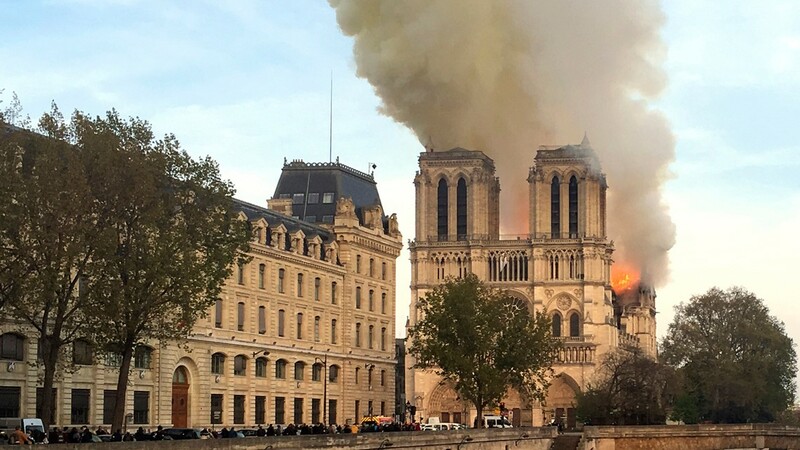 Macron is holding a special Cabinet meeting Wednesday dedicated to the Notre Dame disaster, which investigators believe was an accident possibly linked to renovation work. 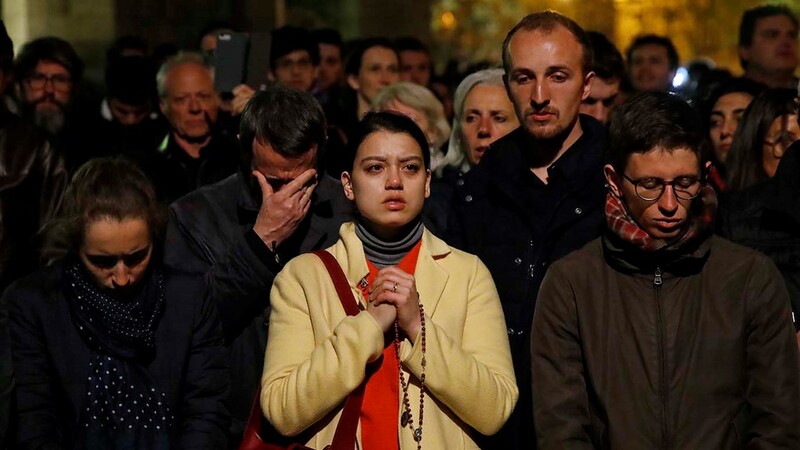 But Paris prosecutor's office revealed that investigators have still not been able to look inside the cathedral, as it remains perilous. 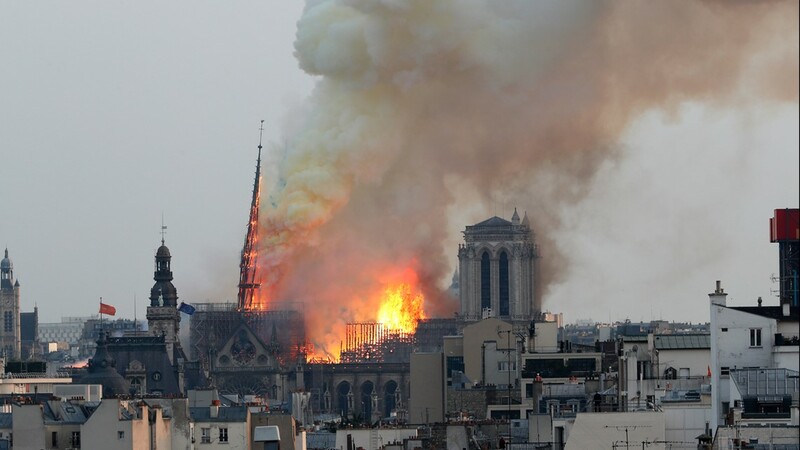 Local Paris merchants whose livelihoods depend on Notre Dame tourism are now worried about their own futures after the devastation. Patrick Lejeune, president of the Notre Dame neighborhood merchants association said the group's 150 employees fear for the future. Some 30 people have already been questioned in the investigation, which the Paris prosecutor warned would be "long and complex." 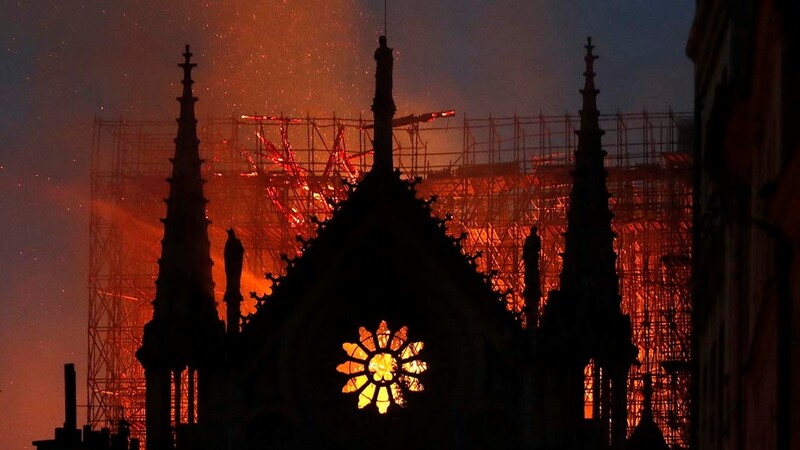 Among those questioned are workers at the five construction companies involved in work renovating the church spire and roof that had been underway when the fire broke out. Despite the damage, much was saved from Monday's inferno after a plan to safeguard the masterpieces and relics was quickly put into action. 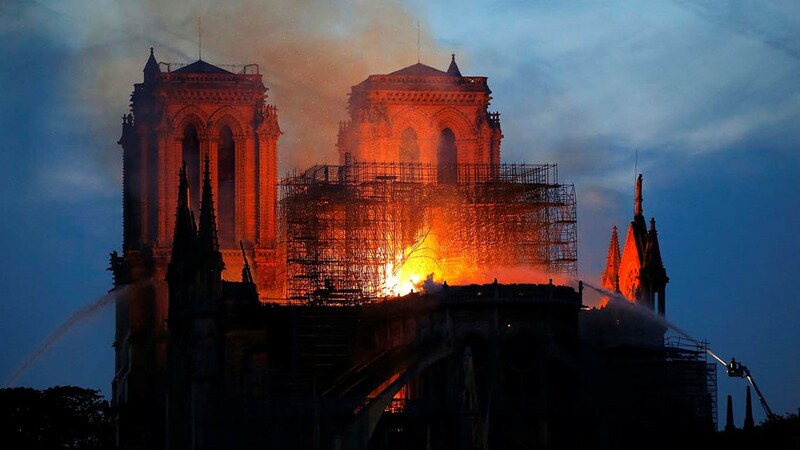 The Crown of Thorns, regarded as Notre Dame's most sacred relic, was among the treasures quickly transported after the fire broke out, authorities said. Brought to Paris by King Louis IX in the 13th century, it is purported to have been pressed onto Christ's head during the crucifixion. The cathedral's famous 18th-century organ that boasts more than 8,000 pipes also survived. Some of the paintings and other art works are being dehumidified, protected and eventually restored at the Louvre.